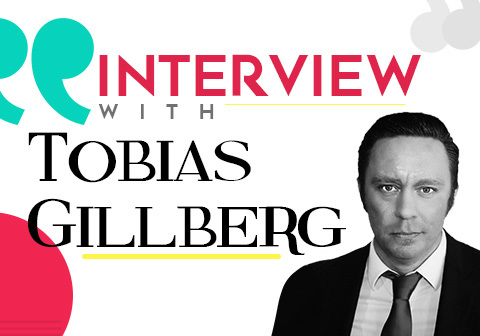 Tobias Gillberg is a Digital Marketing Manager, Search & Digital Disruptor and Management Consultant Search. Tobias has completed his Bachelor of Science from the University of Gothenburg and Master’s degree in Computer Science from Chalmers Tekniska Hogskola (Gothenburg Sweden). Tobias Gillberg is specialized in Search Marketing (SEO, SEM), Reputation Management, Branding and Influencer Marketing. He owns a private website called SEO Experts Miami, A location for management consultant Services. Branex: Tobias, you have an experience of 12 years working with Fortune 500 clients as a Digital Marketing Manager; what do you think a Digital Manager should focus on in 2019? Tobias: Good question! There is so much happening right now and tongues are wagging about how digital really is coming together and Social Channels correspond and really work together with your content/SEO strategy. I think that what some people have talked about since 2009, is finally happening. A real paradigm shift is taking place and Social and SEO intertwine yet further, as can be seen in Google’s latest update, the March update (I still prefer the name Florida) which has left the SEO community a bit baffled. It seems like Google has yet again turned up the heat on premiering GOOD CONTENT and RELEVANT content, cracking down on PBNs (personal blog networks) that accept almost all types of articles. I have seen drops in the SERPs where the links have mostly come from “link-buying”. I think it’s important to stick to the foundations for your SEO strategy. USE correct syntax and HTML, which is something I learned when I got into SEO in the mid-2000s and is the only rule that has remained intact. Use keywords or semantically related keywords, Good HTML H1, H2s titles and keep your website inundated with articles about digital marketing if your website is a marketing blog. What used to be known as Social signals and interlinking Facebook, LinkedIn and WWW articles, are finally having a real impact on your overall traffic. I think it’s important to have a social presence BUT be selective about where you spend your marketing budget. If you are a B2B selling CRM solutions, it’s probably not the right maneuver to craft a really cool Instagram account with 200,000 followers; but perhaps you could work on your LinkedIn company page. In 2019, I would not launch any campaign without proper testing (A/B or whatever technique you prefer). Not testing and tuning as you go can be very expensive in terms of profit and leads lost. Increase your CTR work on CRO (Conversion Rate Optimization). If you are a bigger company, hire someone with UI/UX skills full time to test and maximize conversions. I’ve always been of the opinion that a good Digital Marketing Manager takes in all aspects and facilitates work between departments. A great Digital Marketing Manager sees the entire picture and unites PR, Content, Social, SEO, UI/UX, IT, Dev and traditional Marketing. They are able to make decisions and recommendations built on data and facts; NOT on their “gut feeling” or “we have always done this” or “What they think” of current implementations and strategies. I have worked as a consultant at companies where the marketing department had up to 80 people (not including developers, UI/UX or Project Managers). They had been juggling 4-5 different projects where Social marketing and the fleet of millennials that are working on Social Media as “FB-experts” and “Instagram experts” have done their thing, without measuring the effectiveness of a post. The PR people were doing what they had always done, and without involving SEO or Social Media, so I believe that the biggest challenge for a Digital Marketing manager in 2019 is to SEE and COMMUNICATE the entire picture. It’s a challenging and sometimes a frustrating position, but I see better and better attempts. So a digital marketing manager will have to be an excellent communicator to avoid frustration and thwart competitive internal teams from working against each other rather than using excellent talent from each department to create something really awesome via joint efforts. In my teams, there is no place for ego or trying to look good alone. TEAMPLAY is a keyword that feels relevant. If there is a Social Marketing Manager, an SEO Manager, and a PR Manager, they all have to work together seamlessly and therein lies the biggest challenge for a Digital Marketing Manager. The Social Marketing Director wants to look good to the upper management, The SEO. A Social/SEO/PR Marketing Manager of a Fortune 500 is not personally invested and they are playing with OPM (other people’s money) and make decisions that they wouldn’t in a situation where it was their money. I don’t want people like that in my teams. I want my teams to treat every dollar as if they are investing in their own business. Branex: AI is getting very popular, confide in our readers how AI will shape SEO and Digital Marketing in the future? Branex: There are many factors which can help you rank your website on a search engine; so tell us how hosting and IP can be strong factors when it comes to choosing which index to rank? Tobias: A Great Digital Marketing Manager makes sure that proven techniques and basic On-Page SEO, and Content-curation with INTERESTING content gets produced. 10 years ago, if you wanted to rank on Google.co.uk index, you had to make sure of 3 things (Server location, TLD, links coming from which sites). It still rings true that a dotCOM tld performs better overall on all indexes and it’s hard to rank a domain.co.uk on Google.com. Branex: Who do you consider your inspiration when it comes to the industry you work in? Can you name some of them? I’m trying to keep an eye on the blackhat SEO community since many good guys started there. I used to read the Bluehat SEO blog and love the smart hacks. I used to read Jakob Nielsen’s blog but after all updates and with time, it seems like most of my old inspirations have grown up and gotten a real job and a suit and gone corporate. Branex: You have worked 12 years tirelessly as a Digital Director and SEO Director, what are the biggest fears you faced as an SEO Director? Tobias: Obviously, every SEO manager’s biggest FEAR is a heavy penalization from Google with a large drop in traffic. Another classic is the nuisance of 500 errors that block the entire site after implementing an htaccess redirect file, but it’s all about testing, testing and not using aggressive SEO before having evaluated all outcomes and scenarios. Branex: There is this burning question which we find all over forums. Since you have a huge amount of experience in this field, so we’re asking you the question. What are some common SEO mistakes in digital content production? Tobias: There are so many fundamental errors in brand new sites being developed for huge companies today. I would say that the most common is not to use proper Header (h1,h2,h3) tags, but most people make the mistake of not even using relevant keywords on the website as well. For active sites with dedicated SEO personnel, that have crossed off the SEO 101 checkbox, I would say that it’s dull uninspiring content that no one is interested in reading and the content is a dull, repetitive story that was half newsworthy 2 years ago. Content creators are storytellers and copywriters are selling the product with tight text. There is a huge gap in copywriting and content writing where a content writer needs a deeper comprehension of the topic. Branex: SEO is changing every month as Google keeps updating its algorithm to make sure the best thing stays on top of the search. Tell us how organic search reach is affected by paid advertisement? Tobias: Google has really cemented the market with Google Ads and not just the classic SERP Adwords, but paid placements to treat more hidden “Google Results” in the same way that they have taken on Airplane Tickets, Jobs, Shopping. I believe that Google has a lot more verticals where they want to get in and take a piece of the market. I think that Real Estate, Cruises, and an extended Google Shopping is around the corner. 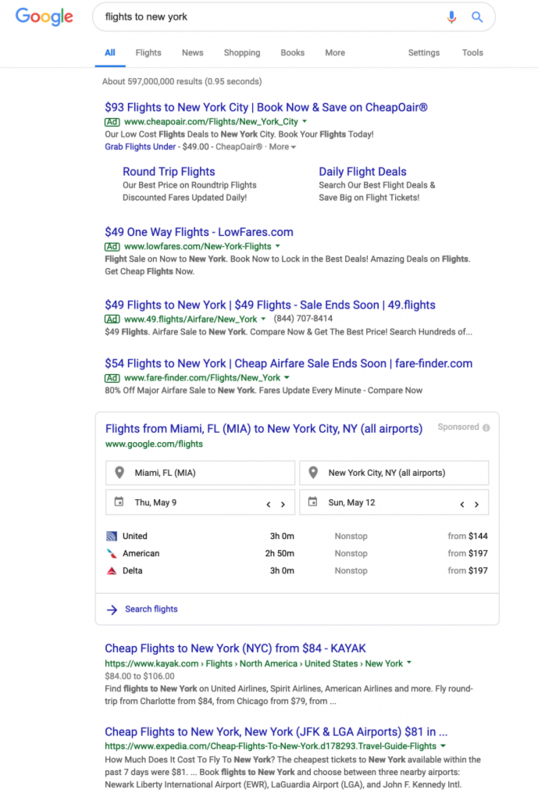 To rank #1 for a keyword like “Flights to New York”, which is not really driving the traffic it used to, since we have Paid ads + Paid Google flights, any business owner must find the whitespace keyword group and play along with Google. Long term I think Google is taking on a too big role as being the Internet by scraping other information and using that and a search is no longer unbiased, which was a big part of their initial success in the late 90s. It was a simple NO BS Search engine with great results.